Circumnavigation of Rab with visits to Sv. 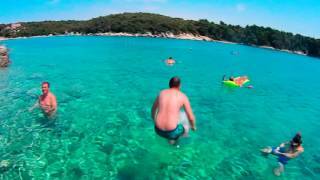 Grgur, Prvic, Goli Otok and Zavratnica Bay on the Croatian mainland. Thanks so much for sharing Lopar with us on a wonderful one-day trip. It was a great introduction to sea kayaking for our 8-year-old, and being able to see the secluded beaches and slower pace of the "hidden" Croatia was wonderful. I feel restored after just one day, so I am hoping to join you on a multi-day trip in the future! 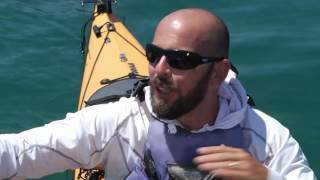 As a professional canoeist I was looking for a “professional” sea-kayak provider when I found Jogi’s website. As it turned out, it was not just a really informative website. Jogi helped me organizing everything for my 9 days stay in Croatia.From the pick up at and transfer back to the airport, the accommodation, the complete sea-kayak equipment for my amazing multiday-tour among beautiful islands including planning and guiding me through the tour like with interesting spots, daily weather updates and many other things. The very best of all was from my point of view that I got welcome in his family as it was mine.Many many thanks for all these. I definitely will come again! 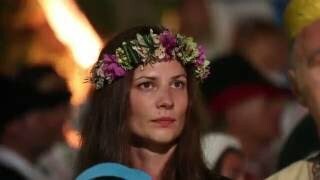 I can’t begin to tell you how much I enjoyed my trip to your beautiful Croatia. The country itself was spectacular, but you two really made the trip memorable! You were like a stand-up comedy show, even though that was not your intent. I loved the way you two bantered back and forth. On the serious side, I always felt safe and secure with the two of you in charge. You had a great way of looking out for everyone, even those of us with less skill! Also, my birthday cake was so sweet. Who else but you could concoct a “cake” in the wilderness and then decorate the box and top with flowers and stones. I will never forget it! I have been kayaking at our lake house in Vermont this summer quite a bit. There is no comparison to sea kayaking, though! 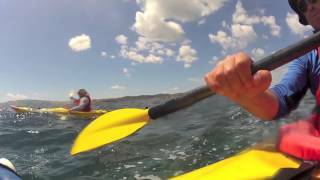 Last summer a group of 9 us went Sea Kayaking around the island of Rab. It meet all of our expectations and more. It was beautiful and we all had a fantastic time. We had a tailor made package for 2 and a half days and it was fantastic value for money. A great time was had by all and I would defiantly recommend it to anyone. Fab!! 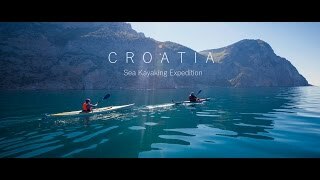 We’ve been wanting to sea kayak in Croatia for some time and decided to go with a small, local company rather than a large tour operator. What a great decision that was! The 8-day expedition to the Kornati Islands with Sea Kayak Adventure completely lived up to its promise. It was, in every respect, a fabulous adventure. Our guide, Bafo, became more than just an excellent leader, he became a friend as did the other people in our small group. The kayaking was superb, despite some ‘weather’ and the scenery was breath taking. You need to be someone who can cope with roughing it a bit to do this trip as the camping facilities are basic yet entirely adequate. For us, this was just part of the whole experience and simply added to the sense of adventure. The supplied equipment was very good quality, but we took a pair of extra thick sleep mats, which was a good idea. We’re definitely up for another trip. 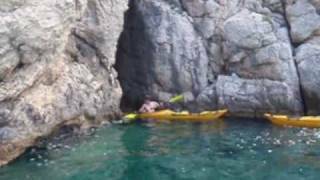 © 2008 - 2017 Sea Kayak Croatia. All Rights Reserved.